What should I pack for my Aruba vacation? Aruba’s exotic feel and lush, tropical climate make it an ideal place for a getaway. Relaxation, exploration, and excitement are everywhere here. But knowing what to pack can be tough, especially if it’s your first trip to a place like this. I’ve been asked this question many times, so I’ve put together a list to help you! In it you’ll find tips for seasons and what to wear in Aruba, plus what NOT to bring and answers to your Aruba FAQs. Prepare for bliss and keep your sense of adventure handy – this destination will be like a dream come true. 1) Travel Insurance for Aruba – Travel insurance is vital when you’re traveling abroad. Airlines aren’t exactly known for treating luggage delicately, and it would be a shame to have any of your possessions damaged (or lost) in transit. Your vacation will be that much more relaxing knowing that you’re covered in the event of injury or theft. 2) Sarong – A sarong is an ideal accessory for a beach vacation. Sarongs are great because they’re versatile and compact. You can use it as a beach towel, a dress, or a throw it around your shoulders for extra sun protection. 3) Reef Safe Sunscreen – Sunscreen is a no-brainer for keeping you safe from burns as you frolic in the tropical sun. This biodegradable option is environmentally friendly and won’t harm the precious sea life around you. 4) Lip balm with SPF – Your lips are easy to overlook when it comes to sun protection, but don’t. Cracked, dehydrated lips are painful, and not particularly photogenic. You’ve got better memories to bring home from your trip! This lip balm contains sunscreen which will keep your lips hydrated and safe from sun damage. 5) Action Camera – A waterproof action camera is just what you need for a beach vacation! You can bring home footage of all the incredible sea creatures, and take plenty of action shots as you frolic in the pool. These awesome cameras are super compact and won’t add a ton of extra weight to your day bag! 6) Selfie Stick – A selfie stick really helps selfies look less awkward. With this in your bag, you’ll be able to snap shots of everyone in your party without having to track down a stranger to help you out! 7) Kindle – A Kindle is by far the best beach reading device. You can fit hundreds of books into a device smaller than a paperback. On top of that, it has a long battery life and the brightness auto-adjusts, making it readable no matter how bright the tropical sun. 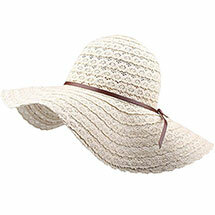 8) Sunhat: Women’s and Men’s – Again, sun protection shouldn’t be taken lightly. A sunhat will help protect your face and your eyes from sunburn and strain, especially when you’re by the water. 9) Packing cubes – These packing cubes make the packing and unpacking process infinitely more manageable. You can pack your clothing into segments and only take out what you need when you need it! They really are the best way to keep your luggage organized and contained. 10) Water bottle – Stay hydrated while protecting the environment with a reusable water bottle. This LifeStraw bottle has the added bonus of filtering any toxins out of the water, ensuring you’re safe from bacteria. 11) Beach bag – A stylish yet practical beach bag is the best way to port your belongings from the hotel to the pool (or beach), and back. This option has plenty of room for everything you might need, including reading material, a towel, and a snack. 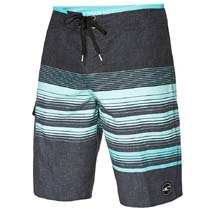 Plus, the insulated bottom compartment is perfect for keeping your beverages cold while you lounge in the sand. 12) Waterproof phone pouch – You and your cell phone never need to be parted with one of these handy phone cases. It’s always a gamble leaving your phone alone on the beach while you swim, but with this, you won’t have to. 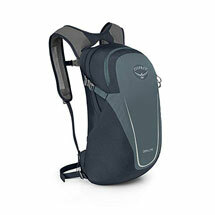 13) Daypack – A compact daypack is a must-have on every trip. With this option, you can fit everything you could possibly need for a day out, in one compact space. 14) Leave-in conditioner – Excessive exposure to sun and salt can wreak havoc on your tresses. This leave-in conditioner will help keep your hair silky-smooth, and hydrated. Add a little to your ends after showering, and you’re all set! 15) Hanging toiletry kit – Keep your toiletries neatly organized with this handy kit. You won’t have to worry about any leaks or spills with everything contained in this pouch. When it’s time to pack up, just zip it up, and you’re good to go! 16) Aloe Vera – Aloe Vera will keep your skin feeling hydrated and smooth, even after long days in the sun, salt, and sand, all of which are irritants. And, if you happen to get a sunburn, you’ll be even more glad you packed it. 17) Sleep mask – Travel can be really detrimental to our sleep schedules, and once you’re thrown off, it’s difficult to recover. Ensure you get a good night’s sleep, whether on the plane or in the hotel, with a blackout eye mask. No matter how bright out, this mask will help you get the rest you need. What should I wear in Aruba? The Caribbean island of Aruba features some of the world’s best beaches, and an ideal climate to match. The consistent year-round temperature and the laid back feel of the island make packing for your trip an easy feat. 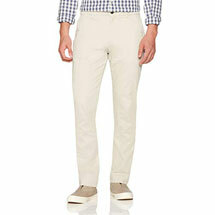 Favor beach attire, and mix in some resort-wear pieces for dinners at elegant restaurants. Remember that due to the heat, you will be sweating a lot, so be sure to pack a few extra outfits to change into in the evenings. Take care to protect yourself from the sun, as you’re sure to be spending extended time near the water. When visiting Aruba, women should favor lightweight, breathable fabrics. The weather is consistently hot, so beach attire is ideal. 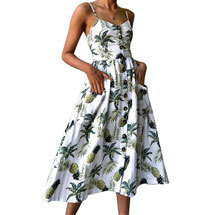 Sundresses, shorts, and t-shirts, or maxi dresses are the name of the game. Sweat-wicking athletic attire is great for active days, but generally, you’ll feel cooler in loose-fitting, airy clothing. 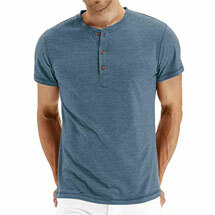 Linen, lightweight cotton, and silk are all great options. The vibe on Aruba is mostly casual, though, swimsuits should be worn at the beach and pool, and not to explore beyond. Be sure to have a swimsuit coverup or sundress to throw on overtop. You may also wish to bring one or two more elegant outfit choices for dining out in nice restaurants. When it comes to purses, a crossbody is great most of the time, but you may wish to pack a beach tote for carrying your belongings between the hotel and pool or beach. Sandals will be the ideal footwear for the majority of your stay. 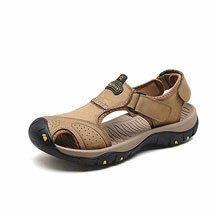 However, for active days you may prefer closed toe sandal options or lightweight running shoes to protect your feet. Beach attire is ideal for Aruba. 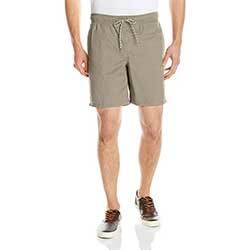 Men will feel most comfortable in light, airy clothing, like shorts and t-shirts. Though there’s no need to pack dressy clothes, it’s good to have a couple of nice, button-down shirts and a nice jacket for dinners out and visiting casinos. You’re bound to sweat a lot during the day, especially if your vacation is action-packed, so ensure you have a couple of extra, clean outfits to change into in the evenings after the day’s activities are done. If you plan to spend a lot of time on the water, a rashguard is a wise investment. It will help protect you from a devastating sunburn. A sunhat and polarized sunglasses are also essential. What are the season like in Aruba? Wet Season (October, November, December, January) – Aruba’s wet season lasts just 4 months, and despite the designation, it shouldn’t present any real obstacle to your visit. Yes, there will be sporadic downpours, but they generally don’t last very long. If you visit during this time of year, keep these showers in mind by packing contingencies like a compact rain poncho to stick in your purse. Wear synthetic clothing that will be easy to dry if you get caught in a shower. Dry Season (February, March, April, May, June, July, August, September) – The dry season in Aruba brings hot temperatures along with gusty winds to keep you feeling comfortable. During this time of year beach attire is ideal, but take precaution to protect yourself from the sun. Sun hats, high SPF sunscreen, and polarized shades will be welcome additions to your packing list. Snorkeling/Diving – For snorkeling or diving excursions, a daypack will help you transport everything you need for the outing. Be sure to pack a water bottle, sunscreen, a change of clothes and a towel or sarong. 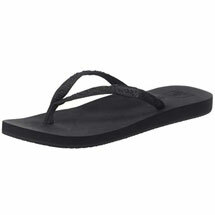 Flip flops are the perfect footwear because you can slip them on and off quickly as you’re in and out of the water. Beach/Pool – There’s no question that much of your trip to Aruba will be spent by the water. Be sure you protect yourself from the sun. Polarized sunglasses, a sunhat, and high SPF sunscreen will prevent overexposure. 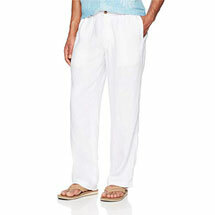 A swimsuit coverup or long sleeved linen shirt will offer additional sun protection if you need it. Casino Night – Aruba’s casinos offer a fun change from the sun and sand you’ll be experiencing during the day. If visiting a casino, be sure to wear a well-composed outfit. For women, a sundress or maxi dress paired with sandals or heels is perfect, and for men, a button shirt and jacket are ideal. Arikok Park – Whether hiking or 4-wheeling through this national park, be sure you bring the appropriate footwear. 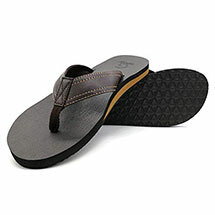 Closed-toe shoes or sandals are ideal for protecting your feet as you explore. 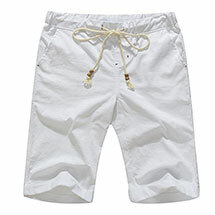 Athletic wear is a good option for staying cool, but shorts and a t-shirt will suffice as well. Whatever you wear, be sure to apply (and reapply) plenty of sunscreen. 1) Excess Cash – Carrying large quantities of cash isn’t necessary for Aruba, as ATMs are relatively easy to find, whether in banks or casinos. Save yourself the stress of carting cash around, and plan to make a withdrawal part of the way through your trip. 2) Expensive jewelry – Traveling with expensive jewelry is never wise. While your valuables won’t necessarily be at risk on Aruba, they won’t be necessary either. Rather than risk losing something special during your trip, leave your jewels safely at home. 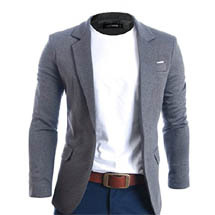 3) Bulky Clothing – While there may be the rare occasion that calls for a light sweater or an evening jacket, bulky clothing isn’t needed on Aruba, where the temperature rarely dips below 75 degrees. 4) Books – Books are a bulky addition to your luggage. Rather than sacrifice valuable space in your suitcase to paperbacks, pack a Kindle and leave room for souvenirs! 5) Boots – Even if they’re part of your signature look, boots are far too hot to be worn comfortably on Aruba. 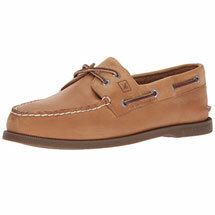 Instead pack practical footwear such as flip-flops and lightweight, breathable sneakers. 6) Hairdryer – Most hotels will provide hair dryers for your use. While they may not be as deluxe as the one you would have brought from home, using them will save you tons of room in your luggage. Better yet, go for an authentic beachy look and let the Caribbean breezes air dry your hair! When visiting Aruba, be sure to leave behind any heavy clothing. The average temperature is about 80 degrees, so you’re not liable to need pants unless they’re linen and used as sun protection. 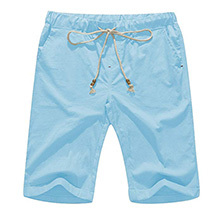 Leave your bulky clothes at home in favor of breathable beach attire. On that note, try not to wear anything too revealing when you’re exploring the resorts and communities. Bikinis and boardshorts are just fine for the pool or the beach, but when visiting local businesses, it’s best to cover up. There is really no time of year that is bad to visit Aruba when it comes to weather. However, the prices can skyrocket during high season, November through January. To get the best rates, plan your visit for outside of that period. What language do they speak in Aruba? The official languages of Aruba are Dutch and Papamiento, a language that evolved from Spanish and Portuguese. Though, due to the presence of tourists from North America, and Latin America, it’s common for locals to speak English and Spanish. Aruba’s currency is called the florin. However, most businesses will also accept US dollars. What type of food is eaten in Aruba? The food of Aruba is influenced by Caribbean, Latin American, and Dutch culinary styles. Expect to encounter plenty of seafood, soups, stews, and tropical fruits incorporated into dishes. The legal drinking age in Aruba is 18 years, and drinking on beaches is permitted, but be sure to collect your empties at the end of the night, because littering is not. Aruba gets water from a desalination plant, which is a clean and reputable source. The cost of importing bottled water on the island is quite high, so it’s highly recommended to drink the tap water.